Matthew Glose was born and raised in Buffalo, New York. After graduating from St. Francis High School he earned a bachelor’s degree in political science from Duquesne University. Matthew went on to graduate from University at Buffalo Law School. 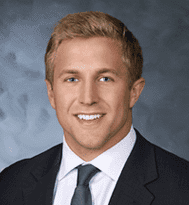 Throughout law school, Matthew was a trial team member, interned at the New York State Liquor Authority and clerked at our firm. Matthew is admitted to practice in New York State. A passionate lawyer, Matthew enjoys helping people and making the world a safer place. Matthew provides detailed attention and passionate advocacy to each client he represents. Outside the office, Matthew spends time with his family and friends.